Alan Brand – Lives openly with his HIV status and is dedicated to making a difference by breaking the silence and changing the mindset of those he comes into contact with. After completing his studies, Alan worked for a period of 23 years in a various positions throughout the hospitality, tourism and catering sector of South Africa. In January 1997, while working as a District Manager, at Fedics Food Services, he was diagnosed with HIV. He joined The Fedics Group HIV/ AIDS Committee in 1997 and was elected chairperson in 1998. He received the Group Managing Directors Special Recommendation Award for his work as chairperson of The Fedics Group HIV/ AIDS Committee in 2000. Appointed 2001 - Group National HIV/AIDS Manager for the Fedics Group (Now called Tsebo Outsourcing Group). In 2006, this title changed to Group Wellness Manager (HIV/AIDS), strategically positioning him to effectively and holistically develop and implement employee wellness initiatives for an employee workforce of 15 000. Appointed in July 2003 - Hospitality and Tourism Sector Representative on the South African National AIDS Council (SANAC). Alan is the founding member of the HIV/AIDS Forum of the hospitality industry. During his term of office he co-author a resource guide entitled “Managing HIV/AIDS for South African Tourism and Hospitality Companies” This handbook has greatly enhanced the sectors ability to mitigate and manage the incidence of HIV/AIDS. He has project managed the groundbreaking approach to the treatment of HIV/AIDS through the introduction of a focus on nutritionally enhanced food products in the workplace. The initiative engages the hospitality sectors core competency to enhance immune wellness and thereby providing a positive impact on general wellness of all employees. HIV initiatives receive international recognition and awards. During 2005 Fedics, the diverse contract catering division of the Tsebo Outsourcing Group was a finalist in the Global Business Coalition on HIV/AIDS Awards for Business Excellence in the category “Utilising Core Competency”. Receiving International exposure, when this initiative featured in the awards publication, distributed at the international awards gala in Washington DC. 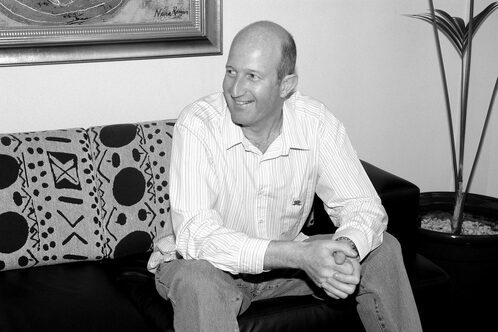 Since establishing his own employee wellness consultancy business in 2011, Alan continues to provide the services of employee wellness consultant and specialist wellness trainer, HIV/AIDS programme co-ordinator and employee assistance practitioner (EAP) to the Tsebo Outsourcing Group and an impressive customer base. By developing innovative and customised wellness initiatives for SMME’s, large corporate organisations, businesses and government department, Alan has been able to reach a broad spectrum of employers, employees, associations and organisation in Southern Africa. Alan’s writes monthly articles for the award winning wellness publication “The Ripple Effect” and is the guest editor of The Ripple Effect World AIDS Day special edition distributed throughout South Africa. These articles have been an inspiration to many people. 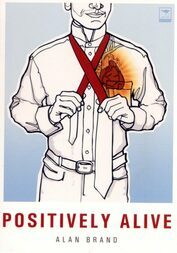 During 2004, Metropolitan commissioned Alan to publish his journals/diaries on the Metropolitan Red Ribbon as part of their Living with HIV diary project. During 2005, he completed a book detailing his experiences in living and thriving with HIV. This book entitled “Positively Alive”, published and distributed through Jacana Media. Copies of this book are currently out of print and as soon as the new edition is published details on where to obtain a copy will be added. 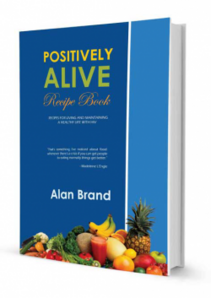 Alan second book, "Positively Alive Recipe Book" was published by Micromega Publication 2014. More about the "Positively Alive Recipe Book": - Good nutrition is vital for people living with HIV. HIV attacks the body’s immune system, making the body less resistant to fighting infections. While nutrients do not destroy the HIV-virus, healthier eating can help you to live a healthier life. The provision of ARVs is vital to this process, and they should be an option and therefore freely available to every South African. However, many medicines and drugs (including ARVs) result in the body losing essential nutrients. Good nutrition will therefore complement and reinforce the effect of any medication taken. This book by Alan Brand provides immune boosting recipes as well as information on nutrition and diet for people living with HIV. Ministry of Basic Education – Namibia. These and many more are the current satisfied clients of Positively Alive.